These days, Yanick Mézile darts between her demanding job as Haiti's new Minister for Women and her wholesale business, where her six employees sell goods to a city ravaged by the devastating earthquake two years ago. 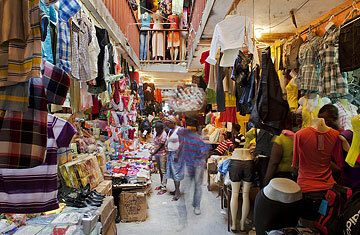 On Saturdays, Mézile oversees the work in Port-au-Prince's hectic marketplace, doing a brisk trade in luggage, school supplies and dozens of other items. "Things were really bad after the quake," she says, "but I'd say I am more or less back to where I was before."